Don Meaders' practice focuses on employee benefits and ERISA, with a broad range of experience within the specialty. His skill set encompasses qualified plan design, drafting, counseling (including 401(k), defined benefit, and employee stock ownership plans), welfare plan drafting and compliance, executive compensation (including nonqualified deferred compensation plan drafting and counseling, and stock-based compensation, such as restricted stock and qualified and nonqualified option plan drafting and counseling), Internal Revenue Service audits and corrective programs, Department of Labor audits, tax controversy, benefits due diligence and counseling in connection with mergers and acquisitions, and strategic assistance to litigators in ERISA litigation. Don is particularly known for his experience in the legal aspects of institutional pension plan investment and related fiduciary matters, and in collectively bargained multiemployer plan practice. 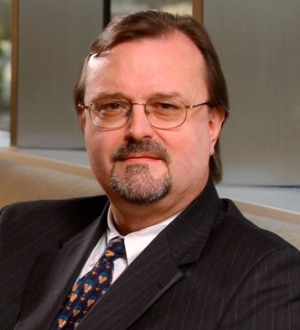 He has many years of experience as plan counsel to major multiemployer (Taft-Hartley) trusts.